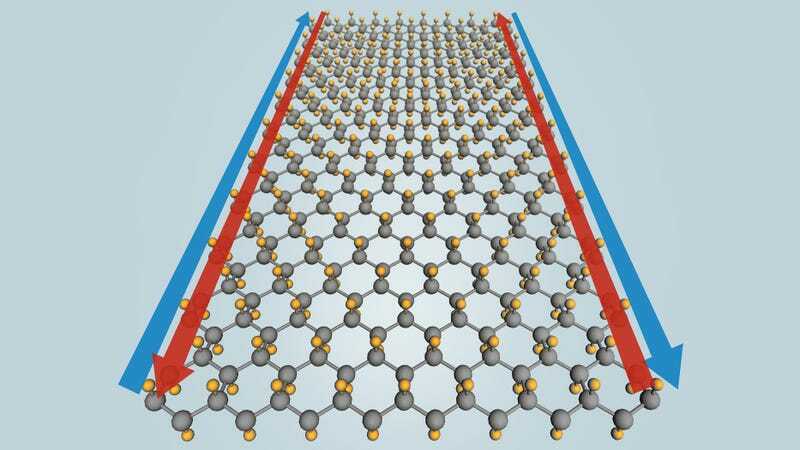 When it comes to super materials, graphene seems to get all the attention. But a team of researchers has developed Stanene: a single layer of tin atoms that could just be the world’s first material to conduct electricity with 100 percent efficiency at the temperatures that computers work at. Scientists from the SLAC National Accelerator Laboratory and Stanford University have long been thinking about topological insulators. These things should conduct electricity just through their outside edges or surfaces, but not through their interiors. Make those materials one atom thick, and theoretically they can conduct electricity with 100 percent efficiency—though in temperature conditions that aren't always useful.